Belcodène is a small village in the Bouches-du-Rhône, north of La Bouilladisse and south of Fuveau. 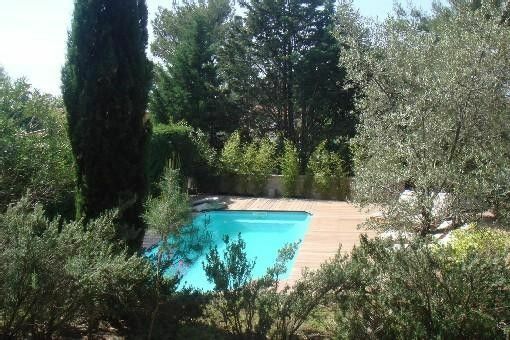 a few kilometers from Aix en Provence in a magical environment. you can admire the majestic beauty of the Sainte-Victoire mountain. The fairways take place on a beautiful hilly terrain, winding between pines & scrubland. on holes 8, 11 and 18, three-level greens well defended by many bunkers represent the main difficulties of the course. Aesthetic emotions and technical challenges are linked together in an unforgettable setting. Golf is organized around Château l'Arc. who makes it his residence and decorates the Chapel. Lors de notre accord, un contrat vous sera envoyé. Votre réservation sera prise en compte dès lors que ce dernier me sera renvoyé signé ainsi qu'un paiement correspondant à 50% des arrhes.